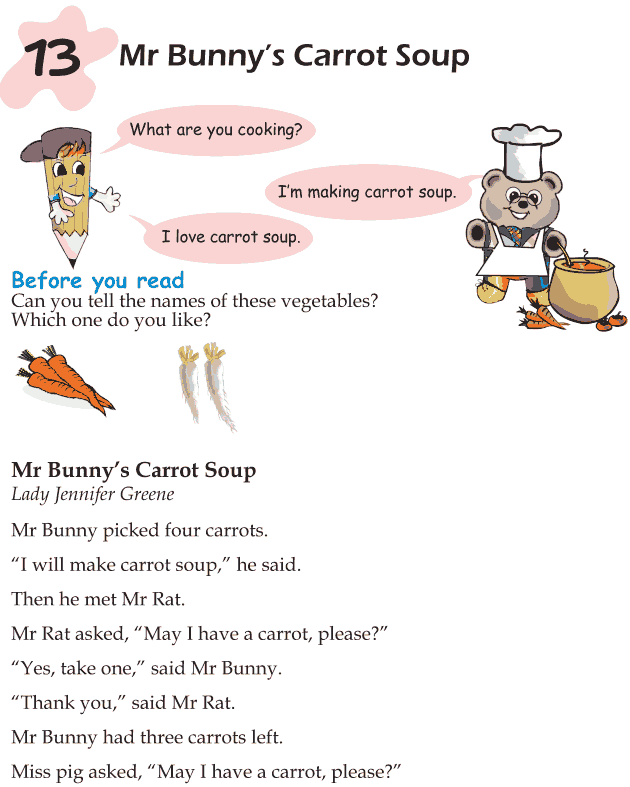 Rabbits are very fond of carrot soup. Mr. Bunny is not an exception. He is excited at the thought of making carrot soup when he picks up four carrots. But something wrong happens on the way. What happens? Does Mr. Bunny get to make his carrot soup? We will find it out at the end of this story.